Yes, it is inevitable. When traveling, be prepared to spend the whole day out to get the most out of your trip. 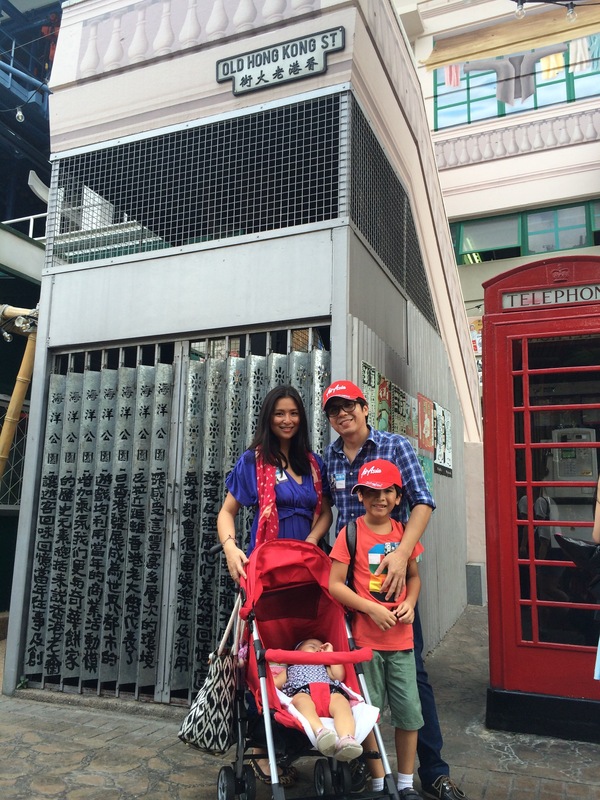 Last Saturday, we spent a total of 9 hours at the revamped Ocean Park, Hong Kong. Now at 91 heactares with over 80 attractions, we were in for a family marathon! Yes, this is real exercise while having fun with your kids. Here are tips on how we survived that day with an 8 year old and an infant in tow! 1. Use a baby carrier: As a nursing mother, this comes real handy because I can breastfeed while touring the grounds. I also have my hands free to take photos or hold my other child when needed. I personally bring 2 carriers when I travel, a Next9 sling for walking outdoors and a Saya carrier for air-conditioned places. 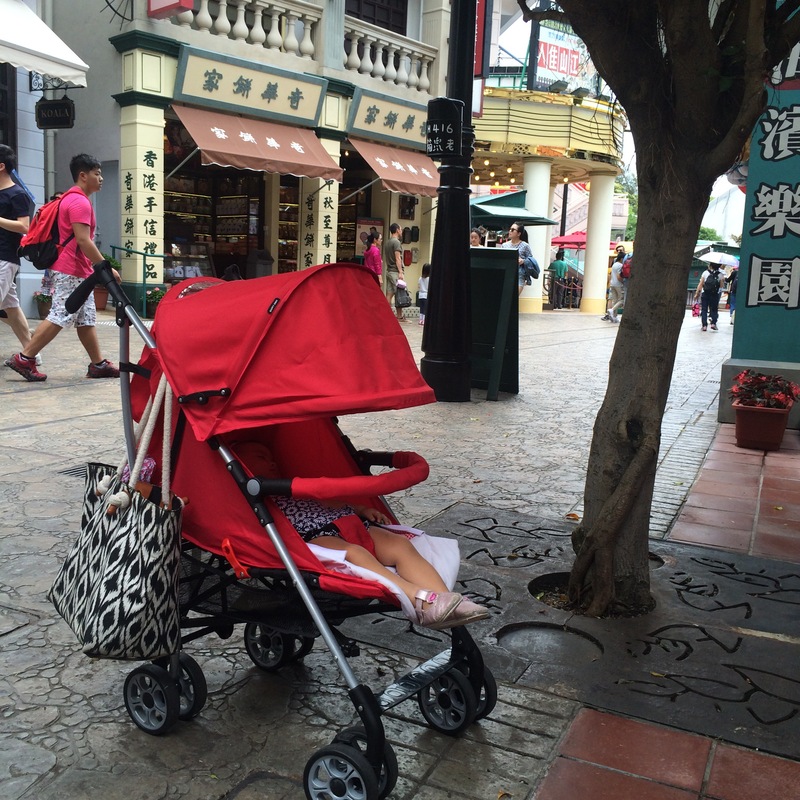 Both carriers can be bought from INDIGObaby. 3. Bring your husband! LOL It is no joke. I don’t know how I would’ve survived the trip without him. I am used to traveling with my infant alone during FLOW retreats but to have to care for both kids – I definitely need assistance! If you’re husband isn’t available, make sure to bring a relative, friend or if you have the luxury, bring a trusted nanny when traveling with more than one child. 4. Take mini breaks. We used our mealtimes as opportunities to eat, sit and rest. 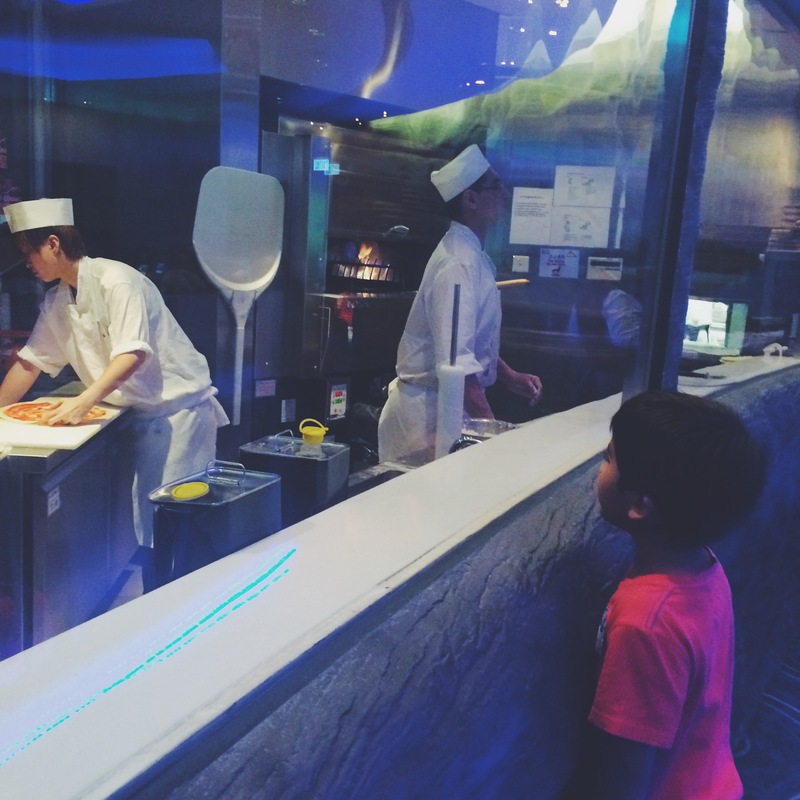 It helps that Ocean Park has very good restaurants to keep the little tots entertained. You sit with amazing views of the grand aquarium or the penguins! Santi was very interested in how they made pizza from scratch at the Tuxedo Restaurant. Here he is watching the chefs in action. 5. Strategize Your Itinerary: We had a very good plan. 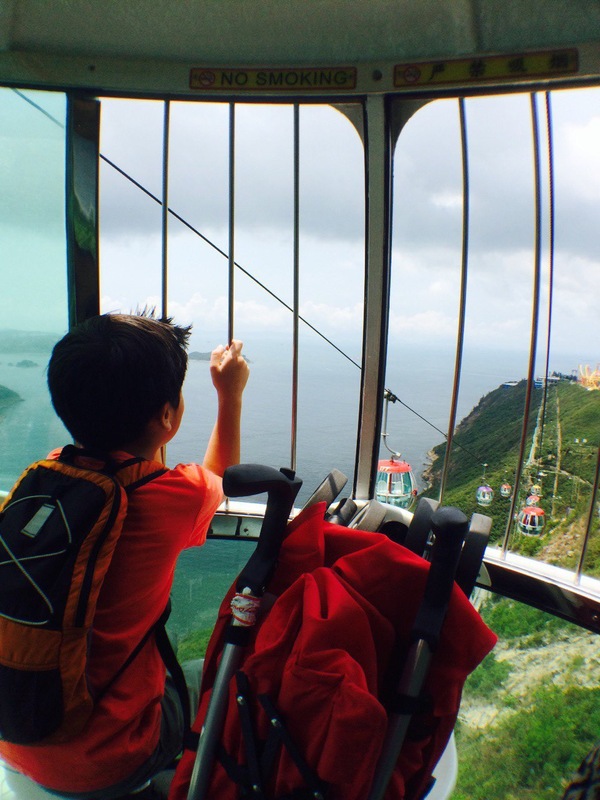 Our itinerary consisted of many different kinds of attractions ranging from watching shows, taking rides and actually doing activities. The smart thing to do is mix it up so that you don’t over exert yourself. After walking for what seemed like forever, it was good to take the cable car to get a few minutes of rest. Maybe instead of being out under the heat of the sun at noon, go watch a movie indoors. 6. Supplement with superfoods – Aside from keeping hydrated and having proper nutritious meals, I use superfoods to keep my immunity up. This is something people take for granted when traveling – your health! It’s easy to pack supplements in your bag. I usually have a few when I go on trips. What I brought with me this time were packets of Fern-C and Moringana. I take a few capsules all throughout the day and it has proven to keep me energized. 7. Come prepared – Fully charge your phone and camera so you don’t miss out on anything important. Admittedly, my phone’s memory seems to be full all the time so I have to constantly delete old photos while we are out which can be such a hassle. Do this before your trip to save you precious time. Also, bring a change of clothing for when you or your kids sweat or get rained on – which is precisely what happened to us! The rains poured heavily on us leaving my footwear drenched. This is a reminder to wear rubber shoes next time! 8. Treat yourself to a massage! While we were not able to get massages during this trip in Hong Kong, I would recommend that you get an authentic foot massage in Gao’s Foot Massage in Lan Kwai Fong. 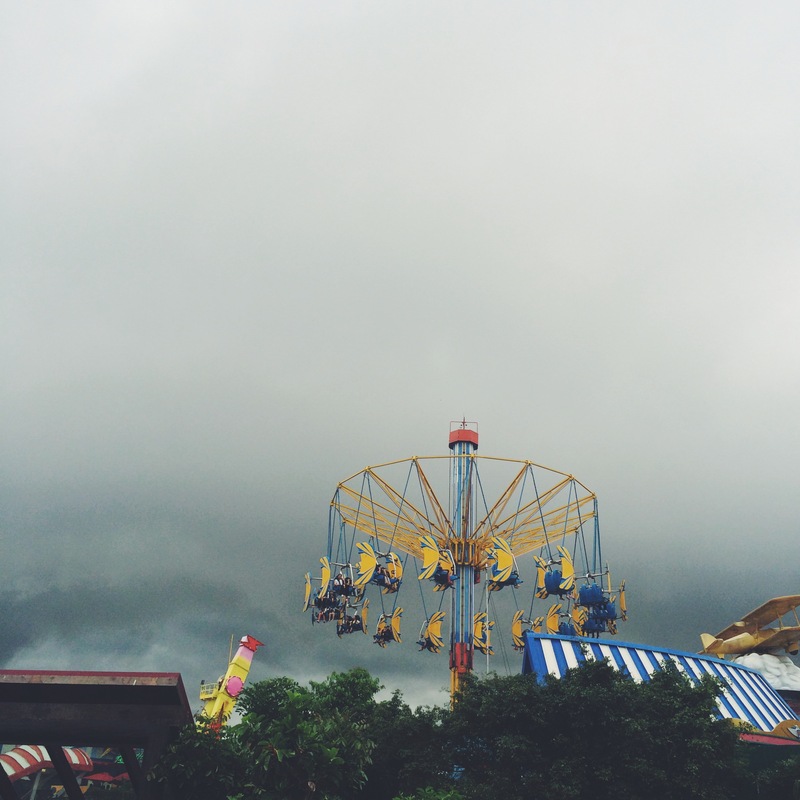 Do you have similar experiences in theme parks with children? Please do share your tips! I would love to hear from you!